Since the printed word, it’s never been easier to self-publish and distribute books than in the world we live in today. Thanks to electronic reading devices and huge online book markets like Amazon, iTunes and Barnes & Noble and several others, getting your written works can be in the hands of readers as soon as they are completed. Even if you’re book is on Amazon already, you are likely losing out on sales, perhaps 50% or even more! Many authors ignore Barnes & Noble, Kobo, and iTunes, which are all huge marketplaces. 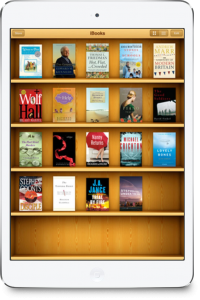 Many of our clients sell more books on iTunes than on Amazon. All this for only a onetime payment of $349! Choose what services you need and we'll put together a quote for your package. You will not be charged at this time. This site was put together by a few independent authors and web developers interested in online book publishing. Selling books online and self-publishing has become profitable for some authors forgoing traditional publishing paths. We created this site to understand the challenges in the sales process for independent authors. Many books and products featured on this site were published by our team on behalf of our clients.